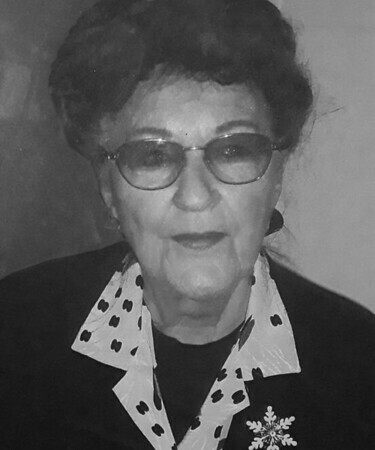 Joan Rauls, 80, of New Britain, Conn., passed away peacefully Wednesday, Feb. 6, 2019, at St. Francis Hospital, Hartford, Conn. Her family immigrated to the U.S. after WW II. Her grandparents helped form this country and sought out the better in people. With that said Joan Rauls joined and served the United States Army and trained and worked as a surgical nurse. After four years of service with the military, she continued to help her community and eventually, Joan retired from American Savings Bank - all while raising her children. She became a wife and mother to six children. She is survived by her children, Arthur, Cheryl, Micheal, Dawn, Tracy, and Banning, many whom followed in her footsteps by joining several branches of the military in service to this great nation. She is blessed to be a Roman Catholic thus our prayers are with her in heaven. Memorial services will be held this Sunday, Feb. 10, 2019, at 1 p.m. Relatives and friends may gather at the Paul A. Shaker Funeral Home, 764 Farmington Ave., New Britain, Conn., Sunday, from 12 -1 p.m. Please join the family in memorial of their mother, Joan Rauls. Thank you. Bless you. shakerfuneral home.com. Posted in New Britain Herald, on Friday, 8 February 2019 18:19. Updated: Friday, 8 February 2019 18:21.